We bought an old newsprint storage drawer a few weeks ago. 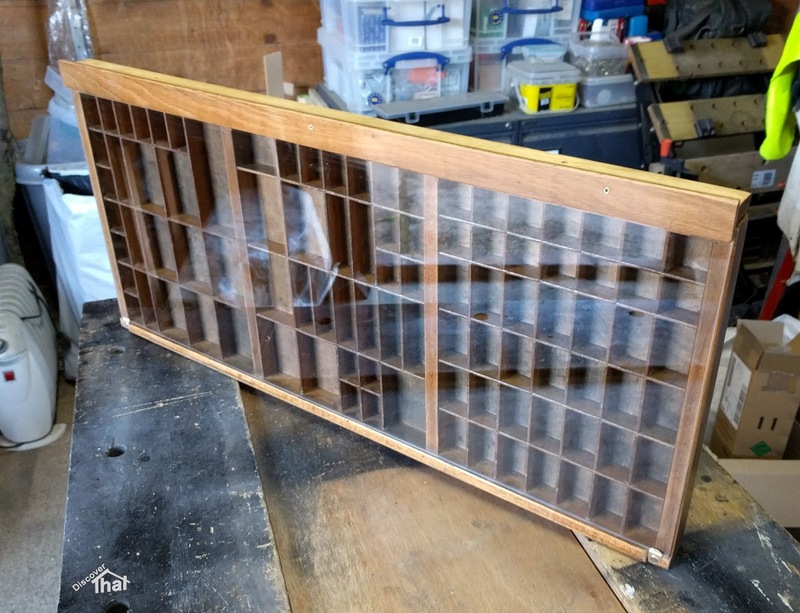 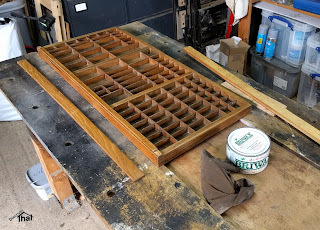 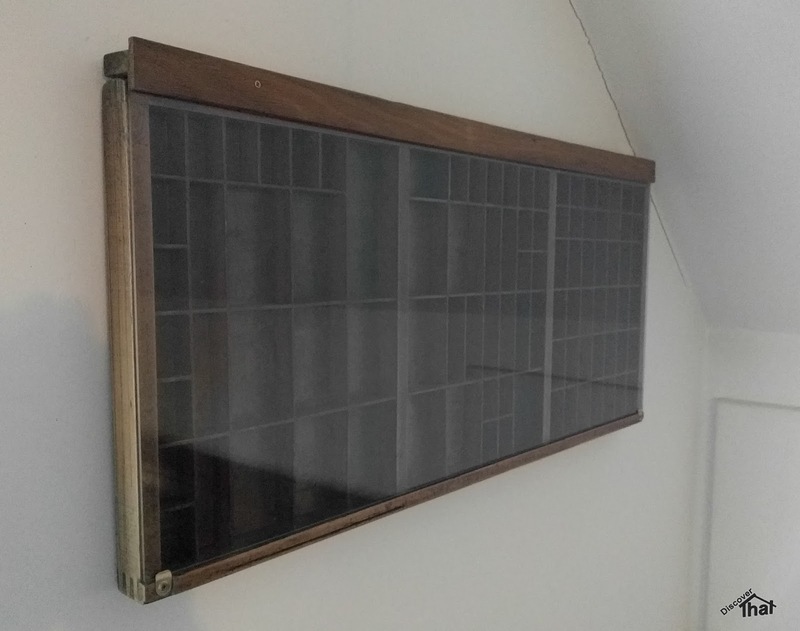 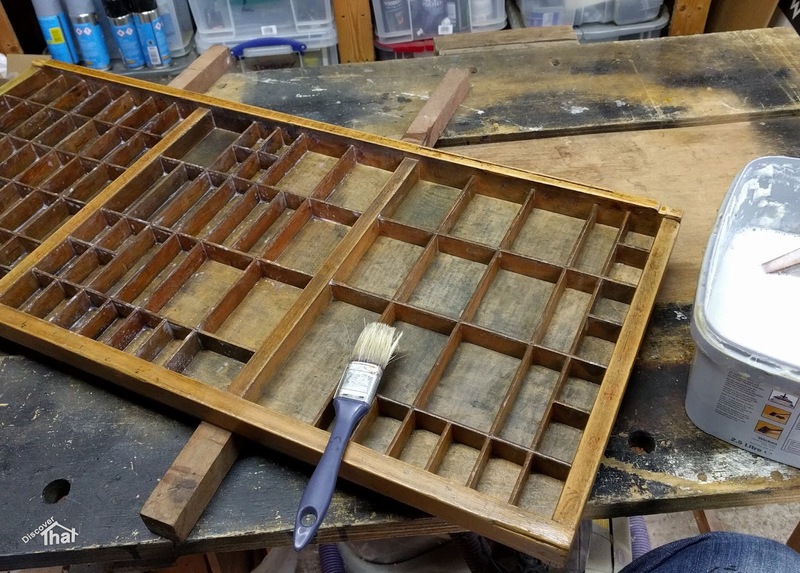 I've carefully cleaned it up avoiding what I assume is lead dust from the letters that would have been stored in it and converted it in to a wall mounted display cabinet. 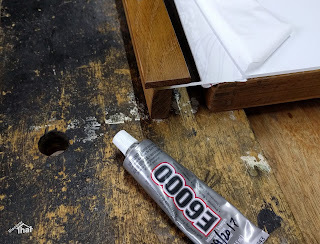 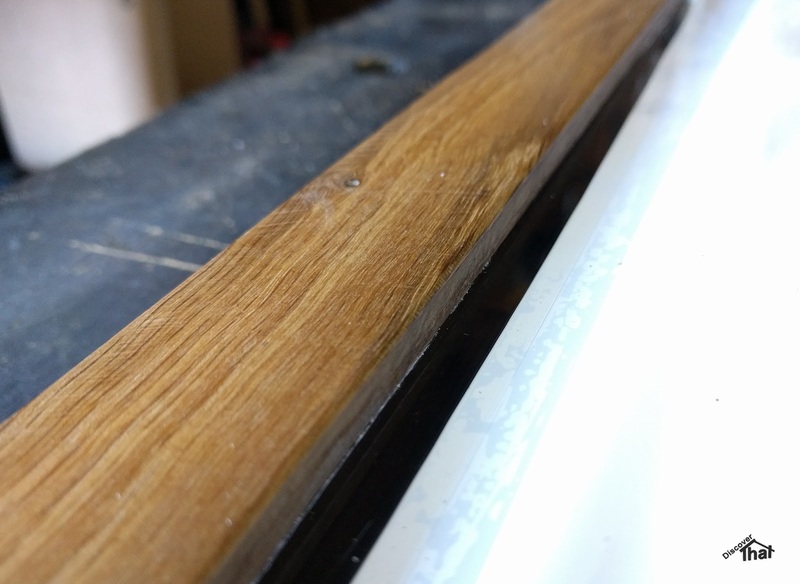 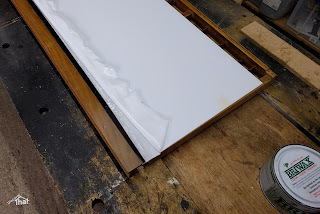 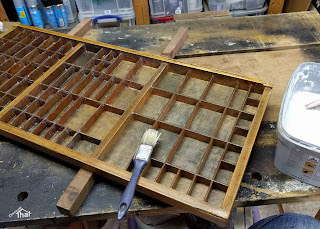 I chose to cover it in a thick layer of varnish both to seal in any remaining dust plus to strengthen the very thin dry dividers. I had some 3mm clear acrylic sheet cut to size and added a rail at the top to use as a hook. 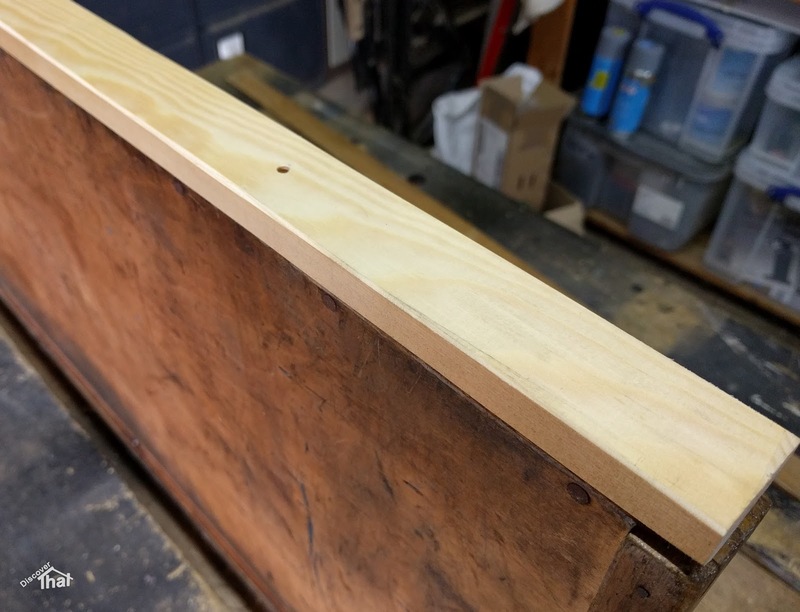 I've put a facing strip at the front and screwed through to a batten behind. I've used a bit of adhesive as well so the stress is not concentrated at the screws. 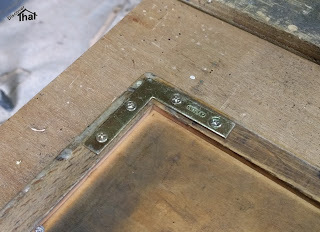 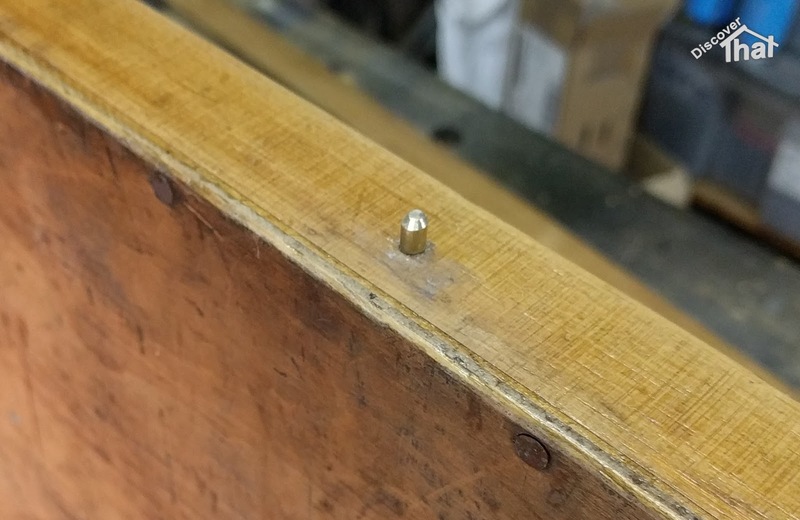 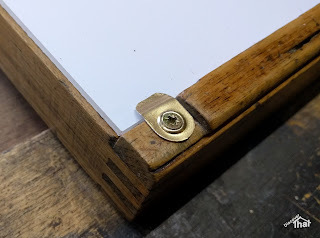 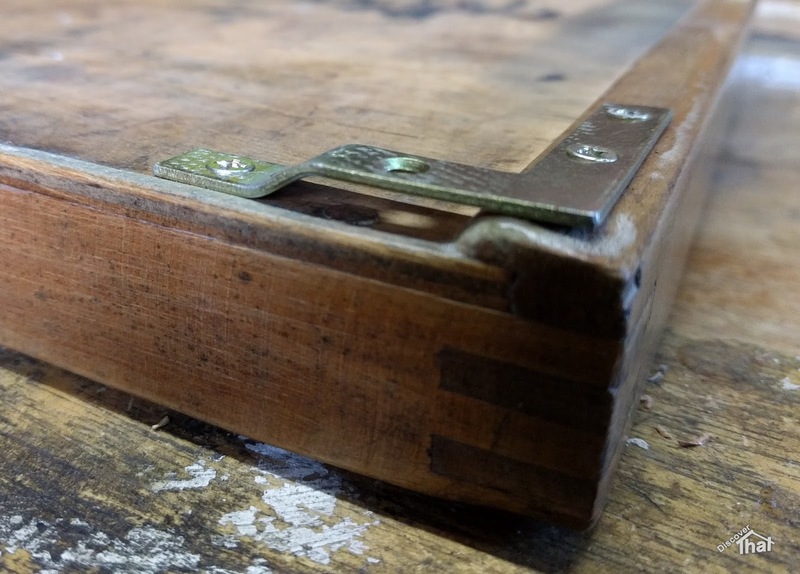 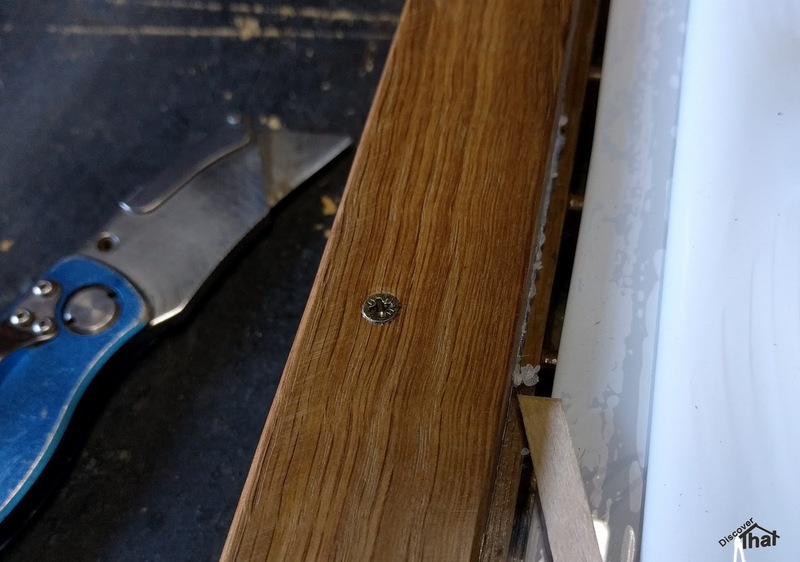 I used a couple of hand made brass pins to support the batten holding the clear front in place. 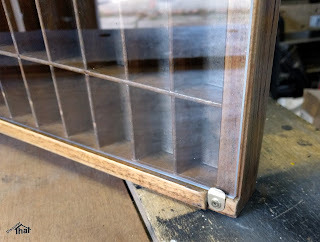 Stained and polished to match the original. 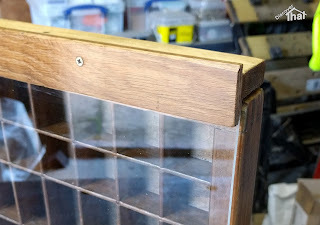 With some brass fixings to take in to account that the box joints were designed for a drawer not a hanging display cabinet.